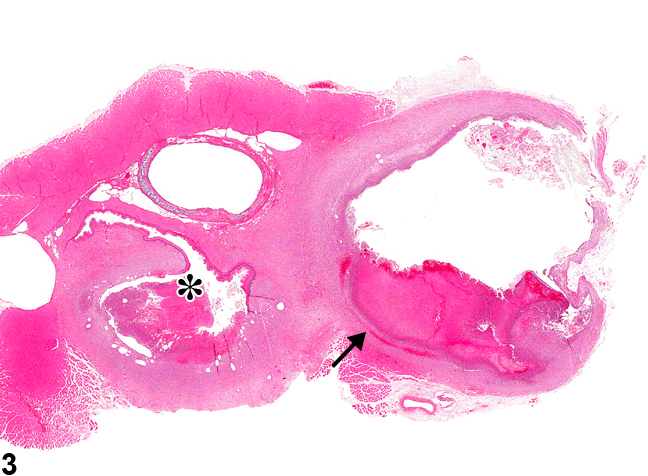 Esophagus - Inflammation, Suppurative in a female F344/N rat from a subchronic study. Note the bacterial colonies (arrow). 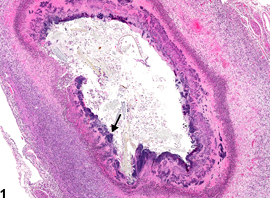 Esophagus - Inflammation, Suppurative in a female F344/N rat from a subchronic study (higher magnification of Figure 1). 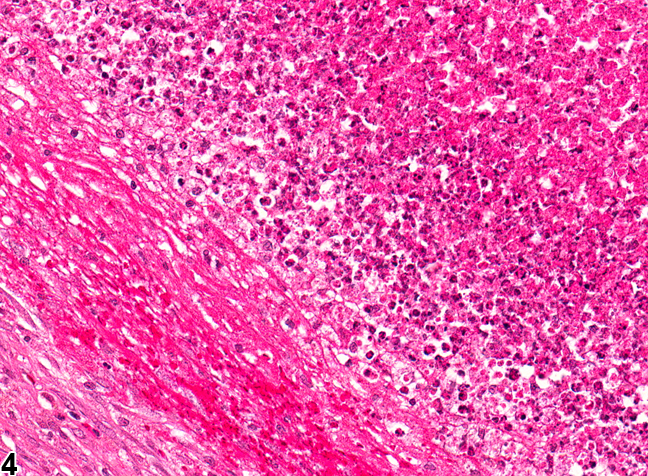 Note the bacterial colonies (arrow). Esophagus - Inflammation, Suppurative in a male F344/N rat from a chronic study. 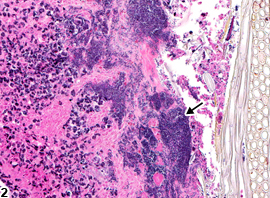 There is inflammation in the esophagus (asterisk) and in the periesophageal tissue (arrow). Esophagus - Inflammation, Suppurative in a male F344/N rat from a chronic study (higher magnification of Figure 3). 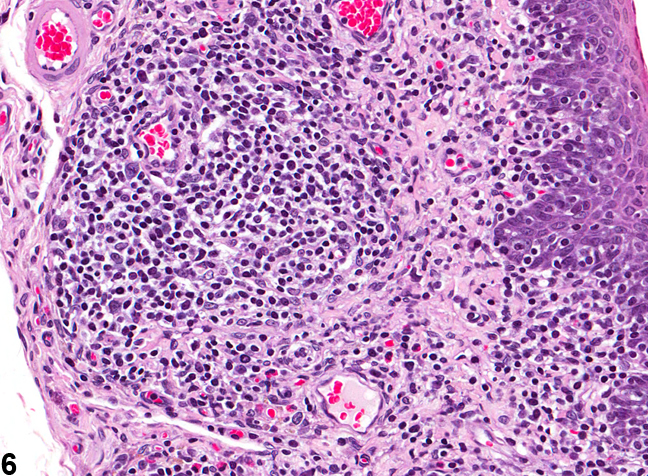 Suppurative inflammation in the periesophageal tissue. Esophagus - Inflammation, Chronic in a female F344/N rat from a chronic study. 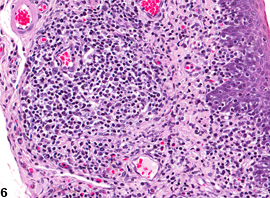 The inflammation is composed primarily of lymphocytes and plasma cells. 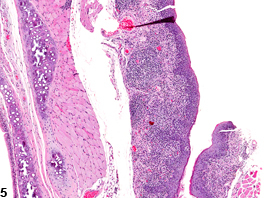 Esophagus - Inflammation, Chronic in a female F344/N rat from a chronic study (higher magnification of Figure 5). 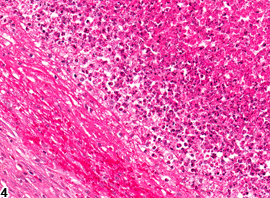 The inflammation is composed primarily of lymphocytes and plasma cells.